Established in 1994, Oppegard Law Firm practices exclusively in the area of civil litigation. Our headquarters are located in Moorhead, Minnesota. We have additional offices in Fargo, North Dakota. Known for litigation expertise, the attorneys at Oppegard Law Firm are regularly involved in a diversity of trial work. As defense counsel for regional, national and international self-insured corporations, insurance companies and third party administrators, our trial lawyers handle a broad array of sophisticated cases from insurance claims and coverage, toxic torts, asbestos, personal injury and wrongful death, to construction defects and products liability. We also assist individuals with plaintiff personal injury claims. Our lawyers are licensed to practice and actively represent plaintiffs and defendants in both State and Federal courts in Minnesota and North Dakota, as well as the U.S. Court of Appeals and the Eighth Circuit. We are also licensed to practice in the U.S. Supreme Court. Listed in A.M. Best's directory of recommended insurance defense firms, and in Martindale-Hubbell's Bar Register of Pre-Eminent Lawyers, Oppegard Law Firm is among select law firms recognized for professional excellence and the highest levels of skill and integrity. When you are faced with civil litigation, whether by your design or in self-defense, the attorneys at Oppegard Law Firm stand ready to take on the challenge, no matter how formidable the opponent or how complex the case. We invite you to contact us to explore how an attorney/client relationship with our law firm can benefit your company. A personal injury is one in which the negligence or wrongful conduct of others another causes bodily or financial harm. Incidents resulting in personal injury are often discussed and classified according to the type of accident, injury, negligence or liability. Among numerous types of accidents are car, truck, motorcycle, construction site and workplace accidents. The kind of injuries sustained in an accident may include spinal injury, birth injury, traumatic brain injury, orthopedic injuries, burn or catastrophic injuries to name a few examples. Negligence issues apply to individuals and companies and may be associated with claims of pharmaceutical, medical or nursing home negligence. The term "liability" may be used to define other theories such as premises, product, professional, municipal and government liability. When a personal injury occurs, circumstances surrounding the accident must be investigated and witnesses interviewed in order to determine where liability rests and the extent to which each party may be liable. In some accidents, the parties involved may share liability to some degree. Weather or road conditions may play a role in highway accidents, and cases of alleged medical errors or negligence may actually be due to unforeseeable allergic reactions or conditions that have no cure. 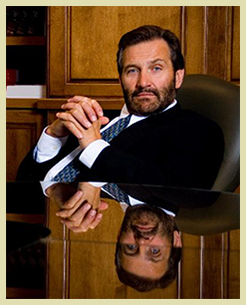 At Oppegard Law Firm, we represent both plaintiffs and defendants in personal injury claims. A combination of extensive experience and access to resources, investigators and experts allows our attorneys to build substantive cases for our clients and successfully resolve the issue at hand. Whenever possible, we do our utmost to reach a negotiated settlement and avoid costly litigation. If a personal injury claim cannot be effectively resolved through arbitration or mediation, we are always ready to present your case to a jury. With a proven track record of successful verdicts and settlements, our attorneys represent clients in federal court and in the State Courts of Minnesota and North Dakota and the U. S. Supreme Court. Whether you are seeking compensation for damages incurred in a personal injury accident or you are defending a claim made against you or your company, call our law firm at (218) 233-8105. We'll put our legal team to work for you. We offer potential clients an initial consultation at no charge, and will take personal injury cases on a contingency fee basis. Listed in Martindale-Hubbell's Bar Register of Pre-Eminent Lawyers, Paul R. Oppegard is among select lawyers who have earned the AV Peer Review Rating. An AV rating shows that a lawyer has reached the height of professional excellence and is recognized for the highest levels of skill and integrity.